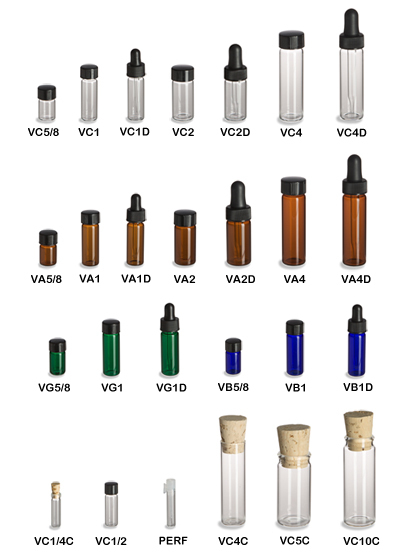 Find a large assortment of glass vials, with a variety of color and closure options. Available in clear, amber, green, and blue, these glass vials have a variety of commercial and personal uses. Dropper options include the plastic dripper insert or the black bulb dropper. All prices include applicable cap or closure.